Chris's Corner | Sports, Politics, Faith, School, Interesting Stories. It took the Houston Astros 55 years to win the World Series for the first time. With the win over the Dodgers, they take their place as the best team in the sport. Theirs is a remarkable story of organizational perseverance through many failures, recent natural disasters, and rising from the ashes of one of the worst records ever in 2013. There’s plenty of individual stories that make this team special. 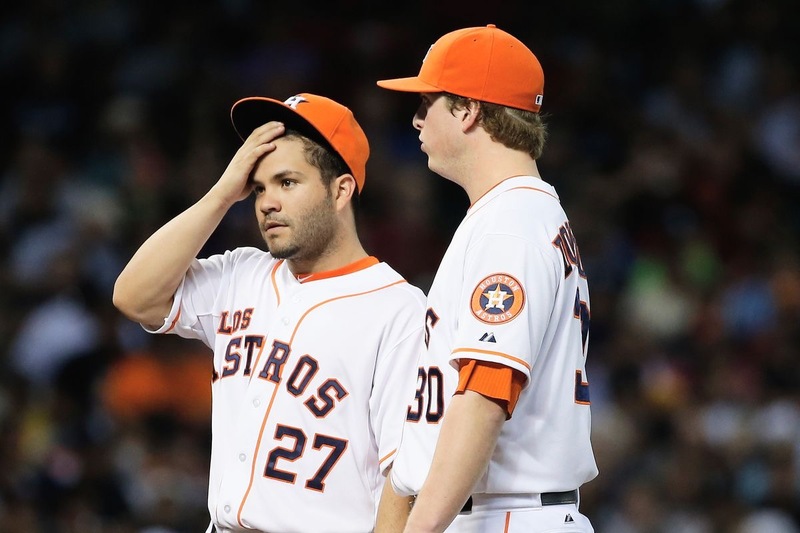 Jose Altuve rose from poverty in Venezuela to the MVP of the American League after being signed for $15K in an Astros camp as an unproven 5’6″ infielder from Venezuela after multiple failed tryouts. 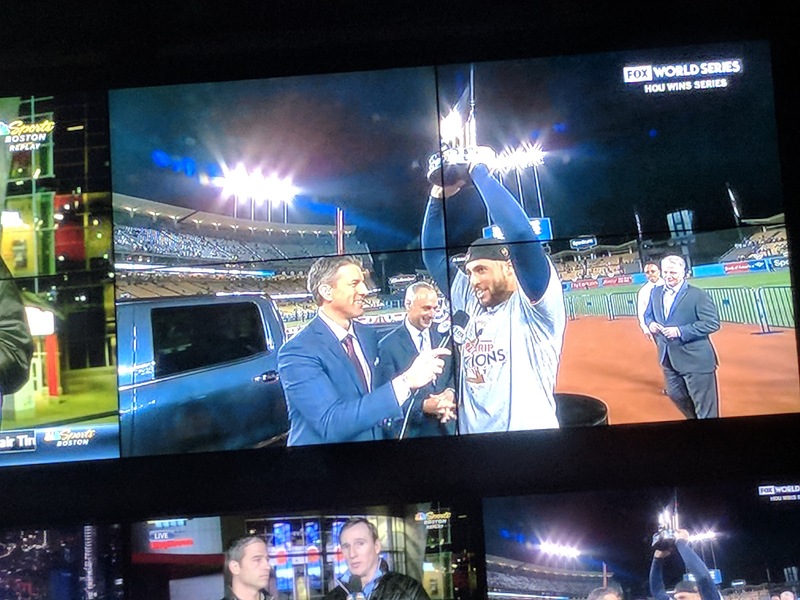 George Springer came from the relative baseball no man’s land of the University of Connecticut to win the MVP of the World Series. Alex Cora becomes the manager of the Red Sox on the heels of winning this series with the Astros, and now looks to win World Series as a player, coach, and manager. Justin Verlander and Carlos Beltran are both certain Hall of Famers and both finally won World Series rings. Beltran has been playing since 1998 and barely missed playing in the Fall Classic with Houston in 2004, with the Mets in 2006, and lost in the World Series in 2013 with the Cardinals. Verlander was the MVP of the ALCS and experienced a rebirth in Houston after a decorated career in Detroit. All these men have compelling stories that merit recounting. All these men have lessons to teach to onlookers and fans. However, of the Astros players and coaches, no one is more worthy of admiration for his perseverance and painful ride to the show than Evan Gattis. Gattis is a 31 year old catcher/designated hitter from Dallas, Texas. He’s a .252 career hitter over five seasons split between the Atlanta Braves and the Astros. He split time this season with Brian McCann behind the plate and hit .300 in only ten at-bats in the World Series this year. He was a good contributor to the team and a clubhouse glue guy, but not a star on his team or in the sport. But the fact that he was even able to play in the World Series, let alone in Major League Baseball at all, is nothing short of a miracle. James Evan Gattis grew up in Forney, the Antique Capital of Texas, just north and west of Dallas. At eight years old, his parents divorced. At 12, he moved from his mother’s house to live with his father, who had remarried and started a new family. Gattis didn’t process this well, as he was too busy playing baseball. Fortunately for young Evan, he was a talented player and Dallas was a hotbed of baseball talent. He played on travel teams with Clayton Kershaw, Corey Kluber, and Yovani Gallardo. As he got older, he played on a travel all-star team with Austin Jackson and later in the Junior Olympics with Billy Butler, Homer Bailey, and Justin Upton. All the mentioned teammates made the Majors and had some sustained success at various levels. Gattis proved himself among his peers on the travel teams and in high school, bouncing between R.L. Turner, Forney, and Bishop Lynch high schools so he could play for his favorite coaches. He was viewed as a good draft pick in the 2004 draft, but he decided against playing professional baseball. Rice University and Texas A&M both offered scholarships for Gattis to play college baseball for them. He accepted A&M’s offer so he could play catcher. But he never played an inning for the Aggies. Before he ever suited up, Gattis had some demons to deal with. His parent’s divorce fed an in-built sense of anxiety and stress that he bottled up for years playing baseball. He started doubting he could succeed in the college game when he left home for College Station and practiced with his new teammates. These stresses led him to abuse alcohol and marijuana. His mother grew concerned and personally drove him to a drug rehabilitation facility for a 30 day inpatient stay when she found out how Evan was doing. The counselors determined he did not have a drug issue, but he had major anger issues. Gattis was sent to outpatient therapy in a halfway house in Prescott, Arizona, for three months. After his therapy months, Gattis left A&M and enrolled at Seminole State College, a junior college in Seminole, Oklahoma, after the coach recruited him. He redshirted his freshman season and played half of the 2006 season before injuring his knee. After the injury, he burned out and quit baseball. Telling his father he never wanted to play the sport again after doing nothing but baseball to cope with his parent’s divorce. Gattis moved back to Dallas and worked as a parking valet. Shortly after, he visited his sister in Boulder, Colorado. He liked the area, so he decided to move there, selling his truck and starting work in a pizza parlor and as a ski-lift operator at the Eldora Mountain Resort. That summer, in 2007, Gattis went into a tailspin. He was depressed, unable to sleep, and contemplating suicide. Eventually, he couldn’t take it anymore and checked into an inpatient psychiatric ward. There, he was diagnosed with clinical depression and an anxiety disorder. Gattis was then released into the care of his father. He moved to Dallas with his brother, with whom he found work as a janitor for Datamatic Global Services, then as a cart boy at a local golf course. Years past and Gattis went on even more absurd adventures. He was homeless in New York City for a bit, worked at Yellowstone National Park in Wyoming, and in 2009, Gattis met a New Age spiritual advisor who convinced him to leave his possessions behind and go to Taos, New Mexico. Gattis lived in a hostel and worked at a ski resort while there. Three months later, Gattis went to California to find a particularly famous New Age Guru. The starter in his 1995 Dodge pick-up truck, so he had to push start his truck to get Los Angeles and then to Santa Barbra without stopping the engine once. He went from there to Santa Cruz where he found the Guru and started to talk to him about the meaning of life and the trials of life. All the Guru said to Gattis was “Evan, maybe you need to chill out.” The disgruntled Gattis thought he had wasted his time and went to San Francisco the next day. Eventually, after being woken up by a cop tapping on his window while sleeping him his truck, Gattis had some time to reflect on the Guru’s words and the ride he had been on. Here he was, 1,752 miles from his home, close to four years removed from his knee injury, and no longer an athlete. He was not in a psych ward or driven by crippling depression. He had sought direction from famed spiritual gurus and was still wandering. He was still searching for the key to his happiness. He still wanted to close the door on his anger but did not know how to move on. That day, miles from home, it clicked. Evan Gattis was happiest playing baseball. The now 22 year old Gattis decided that he wanted back on the diamond. Not to bury his anger or be away from his family, but to find solice and peace within himself and in the union of a team again. He pointed his car towards Texas and push started his car with some help from a homeless man in exchange for a six pack of beer. Once moving, Gattis called his father and told him “I’m coming home.” There was only one problem: Gattis had no idea how to get back to playing organized baseball after so long away. In his first season playing organized baseball in four years, Gattis dazzled, hitting .403 in 57 games, belting 19 doubles, two triples, 12 home runs, and taking 35 walks, 19 of which were intentional. He was named to the All Conference team for the regular season and tournament in the Heartland Conference. True to Reinke’s word, Gattis was drafted after one year in Odessa. Atlanta selected the wandering catcher in the 23rd round of the 2010 MLB Draft, with the 704th pick. After years of meandering, hospital stays, rehab, New Age guidance, homelessness, and personal discovery, Evan Gattis was a professional baseball player. His journey to get to the pros was more complicated than many’s lives ever get. That made the transition to professional baseball shockingly easy. He rose through the ranks with the Braves quickly. The first stop was a successful summer with the Danville Braves of the Rookie level Appalachian League right after being drafted in 2010. The next year, he went to extended spring training after not making any opening day roster for a minor league team in the Braves’ system. He was later added to the Rome Braves, a Class A team, and won the league’s batting title. Gattis continued to rise, reaching Double A in 2012 and impressing in the Venezuelan Winter League, where he earned the nickname “El Oso Blanco”, Spanish for “The White Bear”. The grind that normally swallows minor leaguers was a welcome change of lifestyle for Gattis. The man had lived four lifetimes in his late teens and early twenties and was already a grown man mentally. He was invited to Spring Training in 2013 and with regular starter Brian McCann starting the year on the disabled list, Gattis was named to the opening day roster. He made his major league debut on April 3rd, 2013, three years after returning to the diamond at any level and only after two and a half years in minor league baseball. He hit a home run in his first major league game against future Hall of Famer Roy Halladay. His contributions helped the Braves to the NL East Division Title that season. Gattis became the primary catcher for the Braves the next season, but was traded the following offseason to the Houston Astros. Despite growing up a Rangers fan and not liking the Astros in his youth, the move back to Texas paid off. In three seasons as an Astro, Gattis has been a catcher and designated hitter for an Astros squad that reached the 2015 Playoffs as a Wild Card, won 101 games in 2017, and claim the American League West crown that season. In the American League Championship Series against the Yankees, Gattis hit a solo home run in Game 7 to break a scoreless tie in the fourth. The Yankees never scored, so Gattis effectively drove in and scored the Series winning run on his homer. 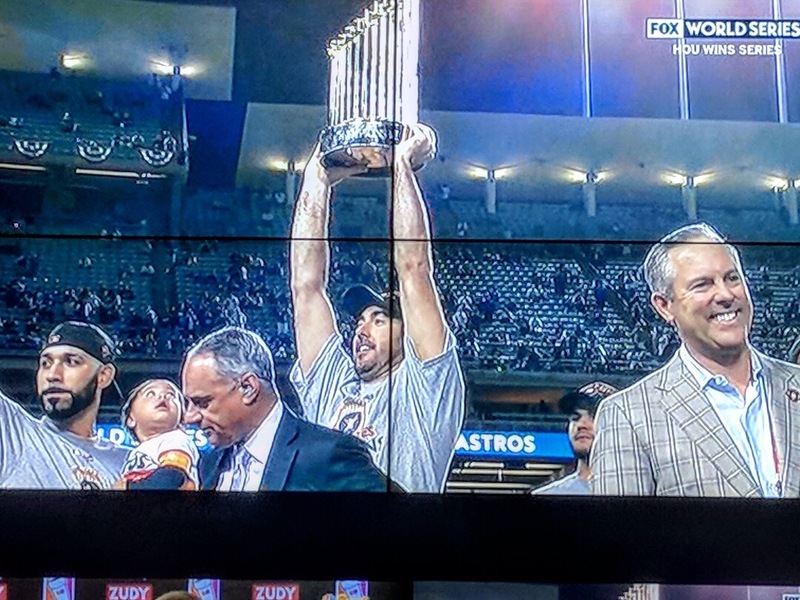 Eleven days later, the Astros beat the Dodgers for their first World Series. Ten years prior, Gattis was on the verge of committing suicide. Now, he is happily married and at the top of his profession. No athlete I’ve ever watched has the winding road of Evan Gattis. If a writer pitched Gattis’s life to a studio as a movie script, it would be laughed out of the room for being too absurd. But it’s real. Gattis has lived a crazy life and is an inspiration to anyone struggling with mental illness, personal doubt, substance abuse, or troubled family life. I hope people read his story and walk away smiling. If he can live through what he did, keep going. You can make it through your trials. Just keep going. Gattis did and made it through. You can too. 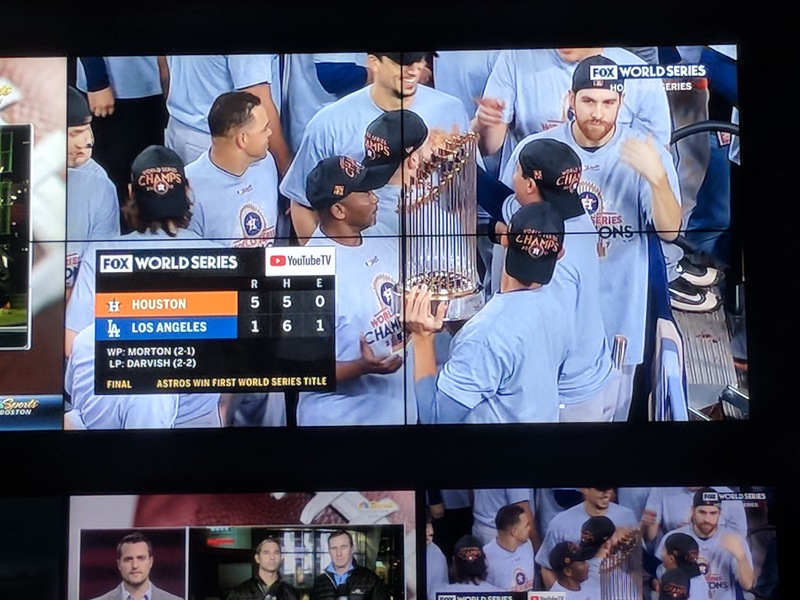 The Houston Astros and the Los Angeles Dodgers gave us a classic World Series. These were the two best teams all year and they played like it in the Fall Classic. All baseball fans should be grateful for the series we got. It seems like they are, if the TV ratings are anything to go by. Ultimately, the Astros edged out the Dodgers in one of the best series we’ve ever had. How did they do it? Let’s take a look. 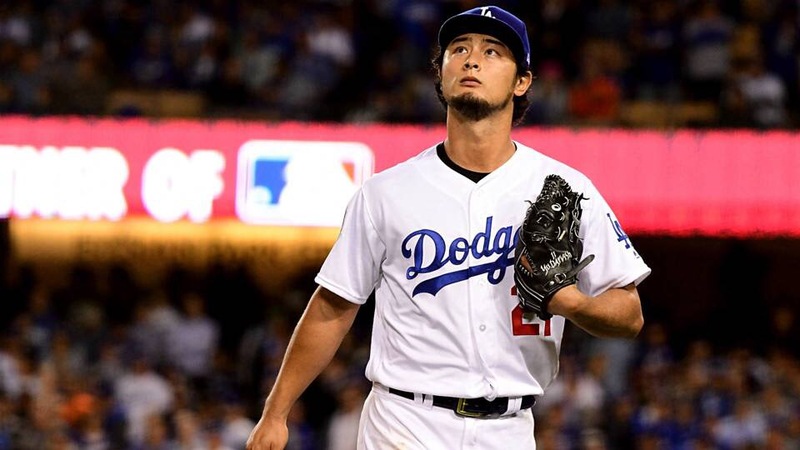 Yu Darvish is one of the most talented pitchers in baseball. He’s been an All-Star, a Cy Young Award runner up, and a dominating force for the Texas Rangers. When he got traded to the Dodgers this summer, it signaled that LA was locking and loading for a postseason run. He started one game each in the NLDS against the Diamondbacks and the NLCS against the Cubs and won both. He looked good as the Dodgers lost only one game en route to the Fall Classic. So. Who wore his uniform in Games 3 and 7 of the World Series? Darvish looked AWFUL in his two starts against the Astros. He only went 1 & 2/3 innings in each start, for a total of 3 & 1/3 innings across two games. His ERA for the series was 21.60. 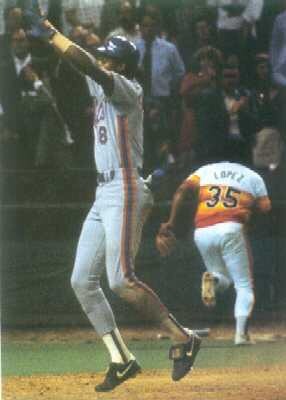 He gave up nine runs, eight of them earned, nine hits, two home runs, walked two men, and struck out no one. Darvish did not show up on the biggest stage of his career. I hope the man gets another chance to pitch on a playoff team so he can turn this around. Because, sadly, Darvish deserves to be at the top of the list for blame for this series going poorly for LA. I love Dave Roberts. The man made the biggest play in Red Sox history, stealing 2nd base on Mariano Rivera in Game 4 of the 2004 ALCS. He helped to spark the greatest comeback in baseball history. 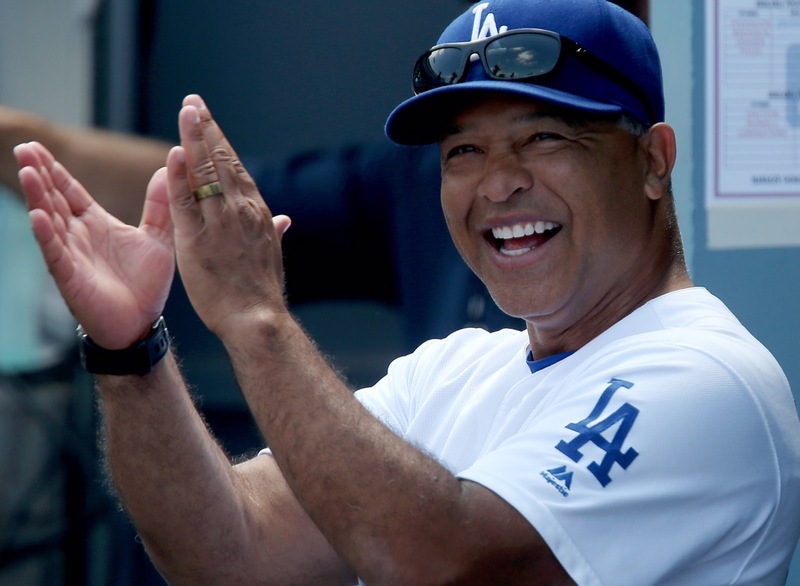 He has also been a great manager since he took up the job with the Dodgers last season. He won the NL Manager of the Year award last year and led the Dodgers to the NLCS against the Cubs. After a slight retooling, the Dodgers won 104 games, the second most in franchise history and most in baseball. They won the division by 11 games over the Diamondbacks and lost only one game in the playoffs. Then the Fall Classic arrived and Roberts meddled a little too much. Game 2 is the worst example of this. Rich Hill started the game for LA and was dealing through four innings. He had only given up one run, three hits, struck out 7, and had only thrown 60 pitches. He had at least two more innings in his left arm. Yet for some reason, Roberts turned the game over to his bullpen from the 5th inning on. Hill responded appropriately. That decision to pull Hill put more stress on the bullpen to deliver against one of the best lineups in the game. And the gamble backfired. The Astros turned the game from a duel between Hill and Justin Verlander into an extra inning slugfest. That extra work Roberts put on his bullpen came back to haunt the Dodgers, as their relievers were not that sharp in Games 3 or 5 in Houston. I can’t look at that outcome and not think Roberts made a mistake with managing his staff. 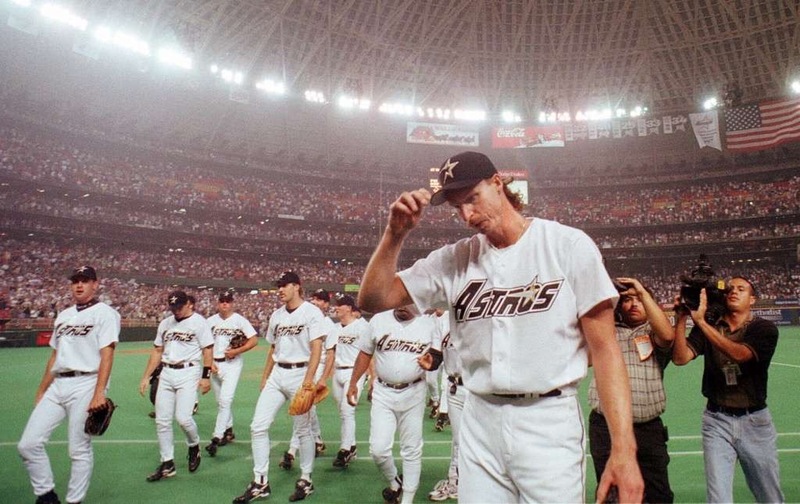 The history of the Houston Astros is riddled with playoff disappointments. 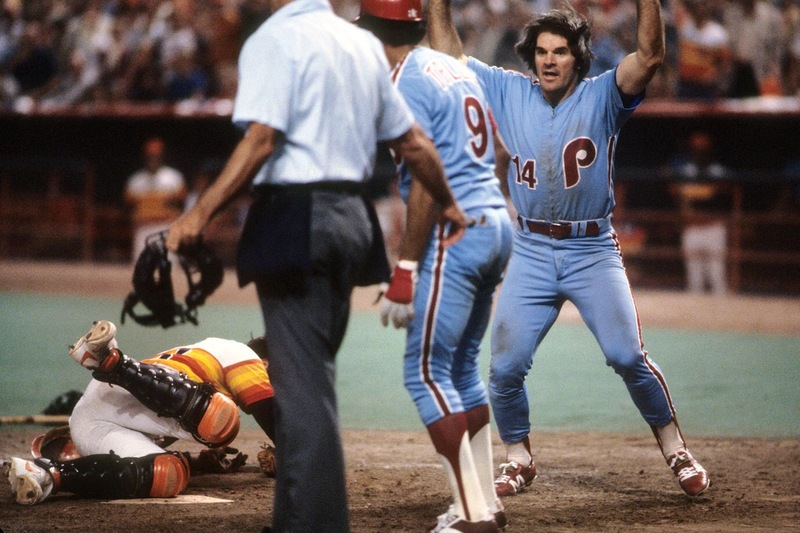 The 1980 and 1986 NLCS saw painful defeats to the Phillies and Mets respectively. The late 90’s and early 2000’s saw the Astros reach the playoffs four out of five seasons and never make it out of the Division Series. They lost to the Braves and Padres in that those series. 2004 and 2005 were the glory years of the Stros. They played the NL Central rival St. Louis Cardinals in consecutive years for the Pennant. 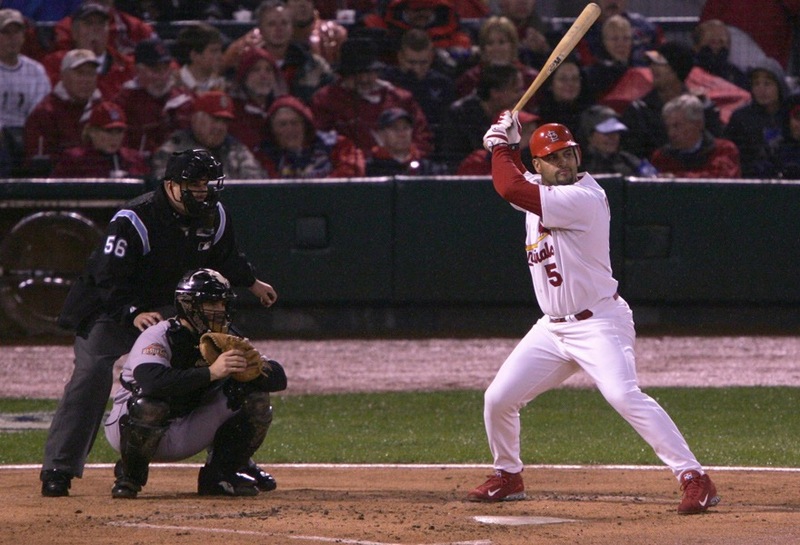 2004 went a memorable seven games with the Cardinals edging out the Astros. 2005 was also an excellent series and the Astros finally broke through, winning the Pennant and reaching the World Series for the first time. They also closed out Busch Stadium in the process. Their first World Series trip went badly, as the Astros were swept by the Chicago White Sox. After that run, Houston fell on hard times. They did not make the playoffs for the rest of the decade. And after 2012, the Astros became the 2nd team to switch leagues, joining the American League’s West Division, to balance out the leagues at 15 teams a piece. In the AL, Houston struggled. They lost 111 games in their first year in the AL West, one of the worst records in the history of baseball. And yet, there were some positives to take. They picked up draft picks, drafted Carlos Correa and George Springer, picked up Jose Altuve, and built a title contender. 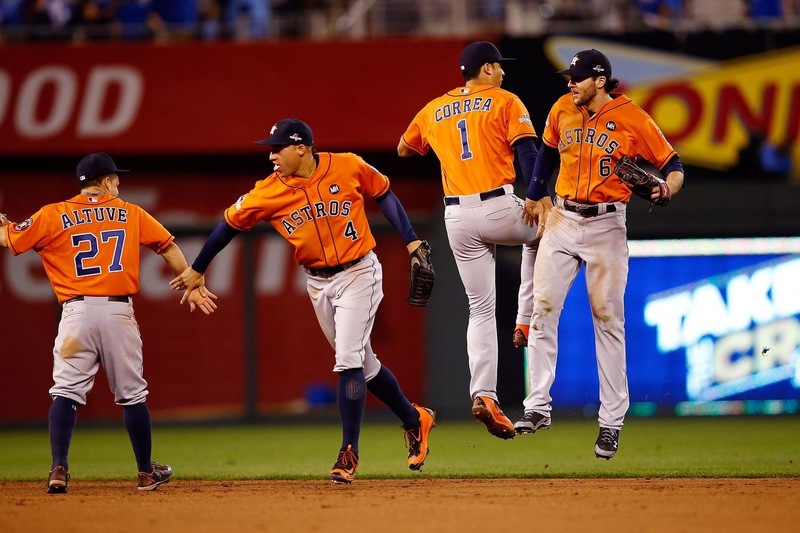 They made the playoffs again in 2015 and held a 2 games to 1 lead over the Kansas City Royals and a 6-2 lead in the 8th inning of Game 4 in Minute Maid Park. They then choked the game away, giving up 7 runs over the final two innings and losing 9-6. The Stros then lost 7-2 in the final game of that series on the road. Going into the 2017 playoffs, the Astros had a franchise history of failure and recent slip ups. They had to stare down the best starter in the AL in Fenway in the ALDS and won in 4 games. They dueled the Yankees in a 7 game ALCS and won. And they had a legendary 7 game bout with the best team in baseball and made the defensive plays needed to win. They got the big hits, the timely pitching, and the playoff magic that has been absent from their franchise’s entire history. The Astros finally learned how to win. After all the mismanagement, Darvish disappointments, and Astros making big plays, the LA Dodgers had their fair share of offensive chances in Game 7. Clayton Kershaw pitched like his Hall of Fame self in relief, and the Dodgers had some chances to cut into the lead. Except they blew their chances. They left 10 men on base throughout the game and wasted prime offensive chances. After offensive outbursts throughout the series, Houston pitchers dodged bullets through the final game of the season and the Dodgers uncharictaristically went out quietly in the biggest game of the season. Give the Astros credit. They pitched their way into a Game 7 victory and earned the win. It was just surprising to see LA go so quietly after that series. 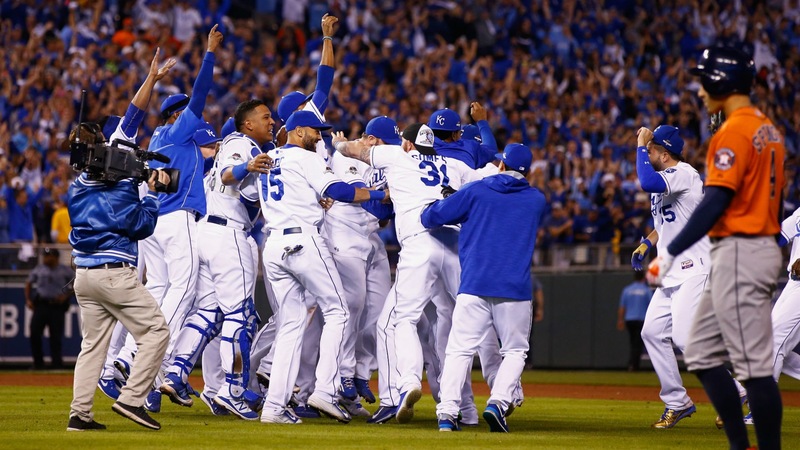 All things considered, Baseball had a marvelous series. LA and Houston both had some goofs, but the teams entertained fans and I hope people become fans of this sport as a result of this series. Congratulations to the World Champion Houston Astros. Now begins the long offseason wait for pitchers and catchers to report to Spring Training. Only 103 days until February 13th! The calender now reads November. And we have even more baseball! Thank God the play has been outstanding and other people are joining me in my excitement. This is the last baseball day of the season and despite not really having a dog in the race, I am pumped for this game! The 2017 World Series has been among the best played in the history of the sport. It has surpassed all expectations and has given fans plenty to cheer about. It’s in part because no game has been the same. 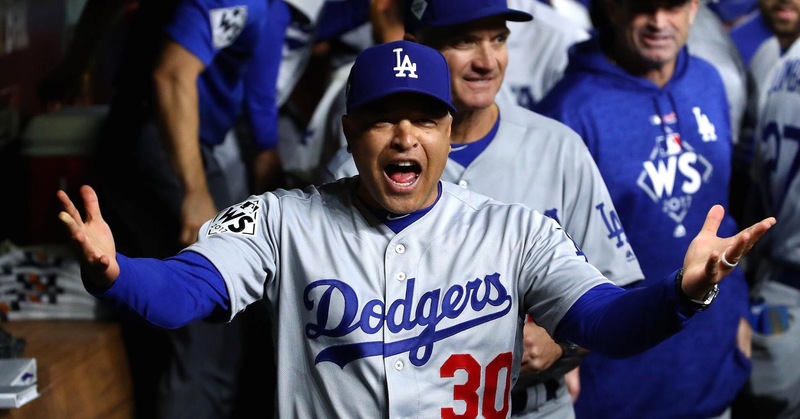 Games 1 and 6 were narrow pitching duel wins for LA with game 1 punctuating Clayton Kershaw’s hall of fame credentials and game 6 flaunting Kenley Jansen for the final six outs. Game 2 was an extra inning home run derby barely won by the Astros. Game 3 saw Houston blow up Yu Darvish and hold on for dear life late. Houston’s bullpen disintegrated in the 9th inning of Game 4. And Game 5 was a slugfest for the ages. We have been blessed with a masterful series between the two best teams in the sport. Best World Series ever? I’ll let you know after Game 7. As for that final game, we should be in for a classic. Last season’s Game 7 was one of the greatest games ever played. In part, the Cubs and Indians had their own demons to deal with and historical weight makes a game better. Also, the game was just plain wacky. Neither the Astros or Dodgers have that level of historical pain to wipe clean, but there are droughts to be addressed. Houston has never won a World Series. In fact, the Astros would only be the first championship team in America’s oil capital since Hakeem Olajuwon led the Rockets to consecutive NBA Titles in 1994 and 1995. Their only trip to the Classic before this was a forgettable sweep by the Chicago White Sox in 2005. They would be the first Texas team to win the Fall Classic and they’d wipe their history of mediocrity off the board with a win. 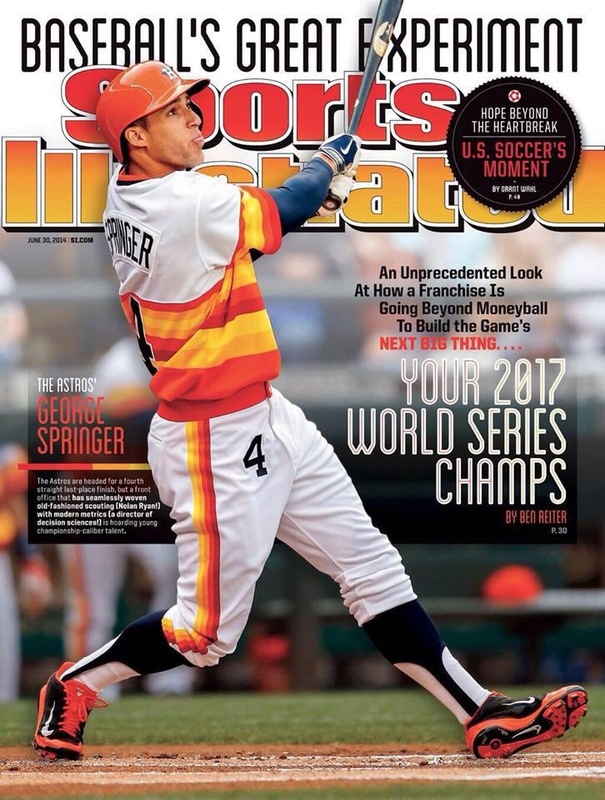 Also, they’d prove Sports Illustrated as clairvoyant with this 2014 cover. The Dodgers are one of the winningest teams in baseball, with 22 National League Pennants and 6 World Series crowns. Sadly, the Dodgers went cold after Kirk Gibson hit the most famous home run in baseball’s history in the 1988 World Series. They’ve not won a pennant since, let alone a World Series. They went through the Frank McCourt saga, failed in the late 2000’s with repurposed pieces like Joe Torre and Manny Ramirez, and spent the GDP of Granada to lose to the Cubs and Cardinals in the NLCS this decade. 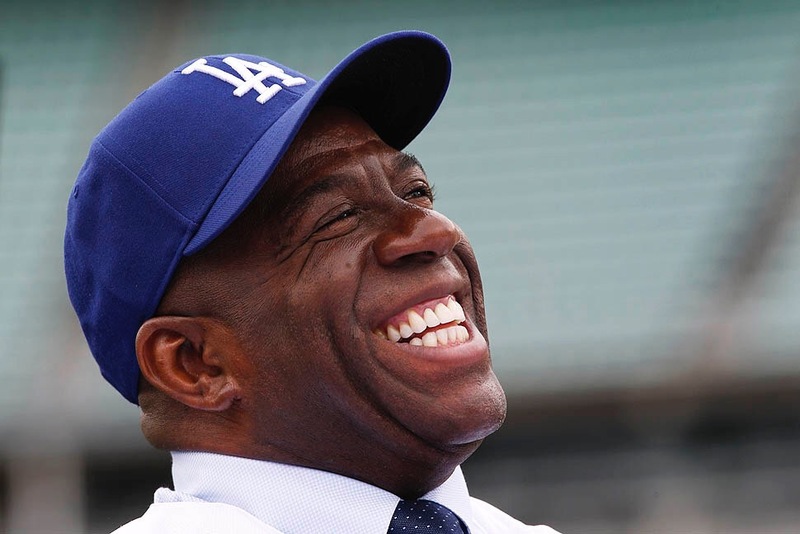 Now, they’re one win away from validating Magic Johnson’s investment in the team. The drought ending is there, but not the main draw. The caliber of play is the reason to watch. These teams are the best in baseball. Both won over 100 games, both are loaded with ace pitchers, and both have dynamic lineups. Clayton Kershaw and Justin Verlander are future Hall of Famers who have validated those credentials this postseason. Jose Altuve, Carlos Correa, Corey Seager, and Justin Turner are all legitimate MVP candidates and have given great offensive shows. It’s nice to see the ratings for this series have been higher than recent World Series. It deserves what we’ve been giving it. I hope people become baseball fans as a result of this series. It is also completely possible to get a wacky end to the year that might even surpass last year’s closing act. The teams are ready to go and the sport is ready for its fine display. So who wins? Beats me. I’ve just been along for the ride and have gotten an outstanding Fall Classic. I will watch this game tonight at a sports bar with another baseball addicted friend with baited breath and incredible anticipation. I’ve certainly had my share of baseball this year. I’m an avid Red Sox fan and went to many games at Fenway, most notably David Ortiz’s retirement game against the Angels in June. I called games at MIT and followed the North Carolina baseball team for my friends on the team. And I hosted baseball players for a championship season in Brewster for the Whitecaps. You’d think that’d be enough baseball, right? Not for me! I am excited for this year’s World Series! Not because of rooting interests, like last year for the Cubs, or any loyalty I have in a team, like with the Red Sox. No, I’m excited because this is a series between the two best teams in baseball. Houston led the AL for most of the year until Cleveland went on their crazy run of 22 straight wins. Even with that record, I thought Houston was a better team than Cleveland. Turns out they had enough to get by the Red Sox in 4 games and the Yankees in a strong 7 game series. Carlos Correa, George Springer, Evan Gattis, and MVP Candidate Jose Altuve lead one of the best lineups you’ll ever see. Altuve is also 5’6″ and has big home run power. He is awesome to watch and is enough to power a team on his own. 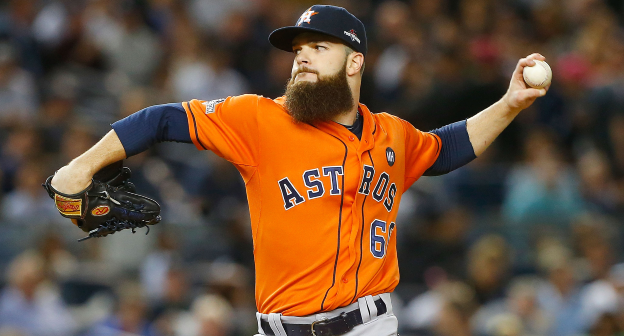 The pitching is also deep, with 2015 Cy Young Award winner Dallas Keuchel, Charlie Morton, Brad Peacock, and newly acquired Justin Verlander headline the starters. Verlander may be the most important. The former Cy Young winner and MVP of the league was the easy choice for MVP of the ALCS and looks like a new man after leaving Detroit. The bullpen is anchored by Ken Giles, Chris Devenski, Luke Gregorsom, and Will Harris. It’s a good bullpen that can do the job, but the pitching strength is the rotation. If the lineup is clicking and the rotation is strong, Houston won’t need to push their pen and will win the series. If they have to depend on their bullepen, they are in trouble. The lineup is strong from top to bottom and the starters look amazing. They deserve to be in the World Series. Their opponent does too, though. The Los Angeles Dodgers had a summer like no other. They went on a 52-9 stretch in the middle of the summer and looked like they’d set the record for most the season. Then they lost 11 in a row and panic set in. Then the Dodgers righted the ship and have dominated the playoffs. Neither Arizona or Chicago were close to LA in their playoff series. The Diamond backs were swept and the defending champion Cubs were outed in a rather easy five game victory. Justin Turner, Yadira Puig, Cody Bellinger, and Corey Seager have been bashing baseballs all season and leaving the dominant Dodger lineup. Their starting staff is anchored by certain Hall of Famer Clayton Kershaw, Alex Wood, Rich Hill, and newly acquired star Yu Darvish. Yu hasn’t looked as good for his new team as Berlander has, but the former Ranger is still a big piece. Kenley Jansen is the best reliever in these playoffs. Ross Stripling, Pedro Baez, and Josh Fields are no slouches, but this bullpen revolves around how great Kenley Janesn is. 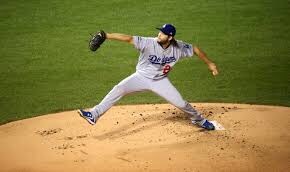 If he’s on, LA has a far superior bullpen. And I expect him to be on for the series. This is the most evenly matched series I’ve followed in my life. On paper at least. I know the sport has to be played to be understood, but I think we are in for a classic series this year. These are the best teams. They have awesome stories with Puig and Altuve, Verlander and Darvish, Hurricane Harvey and the Wildfires all surrounding this series. Who will win? I have no idea. This will be tightly contested and too close to predict. Who do I want to win? I don’t know. I like both teams and have no ill will towards either. I guess I am an American League guy, so I would like to see Houston win. But I’d be fine with either team winning. If I had to pick a team to win, I’d say it’s the Astros on account of their starting staff being hotter right now. But we have a series to sort out. Let’s go! Time to wrap up the fields in the Eastern Division of the Cape Cod Baseball League. So far, my look at the parks has been well worth it. I’ve seen plenty of excellent baseball with enough fun stories to go around. Now we’re finishing up with a trip to Harwich. Does it stack up to the rest of the Eastern Fields? Let’s find out. This is Whitehouse Field, home of the Harwich Mariners. A brief word on my history with the park. I’ve been there a few times in my youth. My best memory was standing on the field for the National Anthem with one of the players. I think it was 2003 or 2004. I don’t remember exactly the year, I just know the guy I stood with was a shortstop and wore 15. It was also just plain cool that I was on the field for the Anthem. Anyway, enough nostalgia. Let’s begin. Whitehouse Field is located at Monomoy Regional High School on Oak Street in Harwich. The school is brand new, opening its doors in 2014. 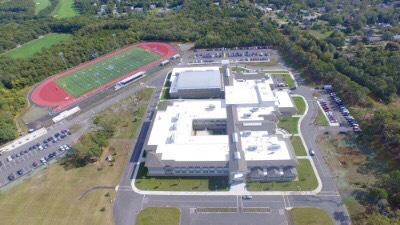 As such, the school is gigantic, modern, and shiny. It serves as a good marker for where the park is. It also gives plenty of parking. The school lot, the field’s own lot, and the spaces at the Harwich Community Center right across the street ensure that there’s plenty of space for anyone trying to see the game. There’s only one slight downside, it’s not that close to Harwich’s town center. Harwich is a lovely town with plenty of businesses, shops, and ice cream places to go explore. It’s not too far, especially if you come from the south side of Oak Street. However, it still feels like you need a car to get to the park. And that’s a little problem. Nothing major, but still an issue. And here is one place where the park struggles. Harwich has a great variety of seats. There’s bleachers behind home plate, grassy hills further down the baselines, and open spaces beyond the outfield fences. So what are the problems? First and foremost, the bleacher sections are kinda small. There’s one center aisle on the larger sections. That makes the sections clumsy to navigate. And they are also smaller than most bleachers in the league. The smaller sections are even more condensed than that. That’s all just a small concern compared to the bigger issue in the bleachers, the material of the seats. They are old wood bleachers that welcome you back to old high school football games with loving splinters. Or they would if they weren’t covered with green plastic covers that are markedly uncomfortable in their own right. They curve poorly and don’t give a good surface to sit on. This issue can be averted by bringing your own seat that hooks onto the bleacher. But if you have to bring your own seat to mitigate a basline problem inherent in the seat, something is terribly wrong. At least the sight lines are pretty good, barring a net or fence interference, but every other park has that issue somewhere. The only other issue is the outfield is very deep, making the view not very good. The best view is from the grassy hills beyond each dugout. Bring a lawn chair for that section. Ultimately, the seating is ok, but some major problems knock it down in a big way. No major complaints here. The Mariners don’t do anything special regarding their food, but there’s also nothing wrong here either. The food is right behind home plate, it’s close to everything, it’s priced well, the menu selections are standard and well executed, and it’s served with a smile and as briskly as the good people can get it to you. One problem. The grill is in a separate location from the rest of the foods, so getting a burger or a dog takes a bit longer and requires waiting in a longer line to pay and then wait for your food. I’m not a fan of that set up. Everything else is pretty good here. This field isn’t ugly at all, it looks…. more rustic than other Cape fields. And not exactly in a good way. Positives first. I love walking through the trees to get to the field. It makes me feel like I’m at a New England version of the Field of Dreams. The lights reflecting off the trees when the sun goes down is also an awesome look. The bunting hung around home plate is a nice touch. And the home plate area shaped like home plate and not just a circle is also a nice touch. Everything else holds up pretty well and is as you would hope for. Except for a few things. First, the scoreboard is AWFUL!! It’s old, numbers pop on and off, some numbers don’t even show up at all, and the entire top row that is supposed to show the player’s names is blank and doesn’t work. The bleachers, as mentioned above, also look old and skeleton like. The wood also looks like it could use replacing, or at least some polish. Ultimately, it’s not a bad field at all. There’s plenty to enjoy. There’s also much to be fixed and updated. That would improve it greatly. As it is, the park just feels old. Despite being an old ballpark, this is a fun place to go to. The staff does fun things for the family like T-shirt tosses, YMCA sing alongs, and dance songs. The crowd is pretty fun and the whole family can enjoy it. As stated above, I also love being in the woods for a game. It’s such a cool atmosphere to be in. Those issues of the aged ballpark knock a few points off for me. That’s my only real issue, but it is a substantial issue. After reexamining this park, this is a flawed baseball experience. The field is well located and the town has good ice cream places for postgame merriment. The food there is good and the crowd is fun. But the seats and scoreboard need renovation and the park feels old and tired. I’d still recommend it. The baseline experience is pretty good, just flawed. Whitehouse Field is a worthwhile and enjoyable time, but I would recommend any other field in the east ahead of this one. So far so good on the Cape Series. Every Park has been excellent to this point. Does that continue into the next review? Let’s take a look. 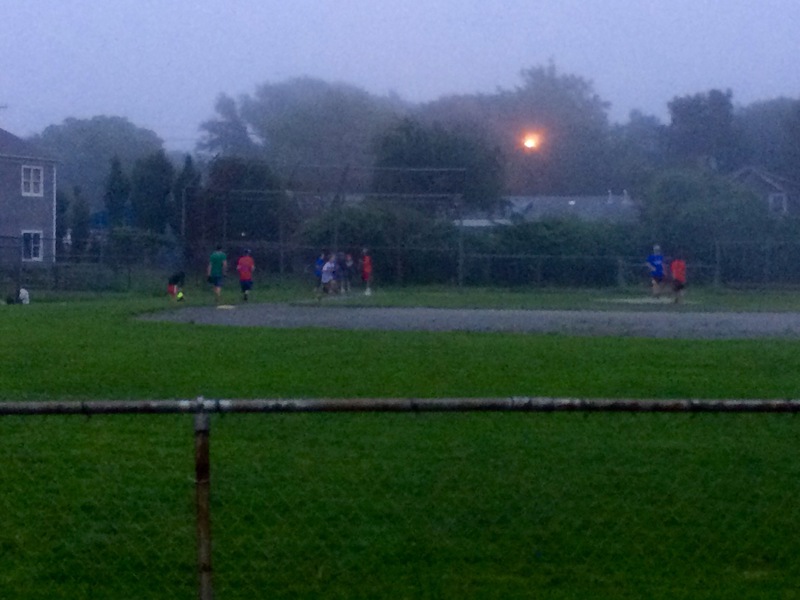 This is Red Wilson Field, home of the Yarmouth-Dennis Red Sox. Just a quick note about this place, I had never been to Red Wilson before I worked for the Whitecaps in 2015, so I have no childhood bias in favor or against this park. Let’s get started. The Yarmouth-Dennis (YD) Red Sox are a unique set up. They represent two decently sized towns on Cape. Their field is at the Dennis-Yarmouth Regional High School, on Station Avenue in South Yarmouth. Here’s the major problem with YD, the school requires visitors to drive there specifically. It’s not close enough to walk to Patriot Square in Dennis, Dennis’s town center, Yarmouth’s main shopping area, or even South Yarmouth’s closest walking or business areas. You have to make a specific trip to the field and it’s inconvenient to try and see the rest of the town and area. It feels disconnected as a result of trying to represent too large an area. The school’s neighborhood is at least a lovely residential area. It is convenient for the locals or those renting a summer pad in the area. There’s also plenty of parking that allows for large crowds for their games. One pro tip though, don’t park too close to the field. The lot gets close to the field, so you put yourself in the firing line of potential foul balls. Just park a bit further away to avoid foul balls. Ultimately, its an ok location. It’s at the region’s high school, services the locals well, and has enough space to welcome large crowds. It just doesn’t have a good location if you want a more centralized experience. It’s not Chatham, Orleans or Hyannis. It works at what it’s trying to do at least. So I can’t knock it too much for being different from other fields I like. YD gets many seating things right, but a few issues show up and knock points down. First point of order: variety. This park definitely has it. There’s extensive bleachers behind home plate and up and down the baselines just beyond the dugout. You can also bring a lawn chair and sit be on the outfield fence or just be on the bleachers on the baselines, or you can sit at the picnic tables next to the bleachers. I’d say there’s just this much of a ride here as there is in Brewster. So that’s good. The other good thing: the sightlines. Every section (except for one that I will harp on in a minute) has a good view of the field and there are many different angles you can see the game from well. But… There are some serious problems with this set up. First. the bleachers are a little small this isn’t much of an issue since there are plenty of them but I can’t help a point this out after I spent so long on it in Harwich. Size isn’t the biggest issue regarding the YD set up though. The lack of netting is. The bleachers just beyond the dugout have an excellent view of the field. There’s no obstruction there’s no new nets, and there’s no protection from foul balls. Since the bleachers are close to the field of play, that’s a bit of a problem. On one of my trips to bed Wilson this season, a foul ball hit a young girl in the knee in the bleacher section I was sitting in. And I would not be surprised if that wasn’t the first time. Especially since the team plays late afternoon games, the sun is often in the faces of the fans on the 1st baseline. That can make it even harder to see screaming foul balls coming their way. Ultimately, I don’t think there’s much that can be done, but it is still a bit concerning. My other area of concern is how useless the picnic table so are. They are set up right behind the first base side stands. 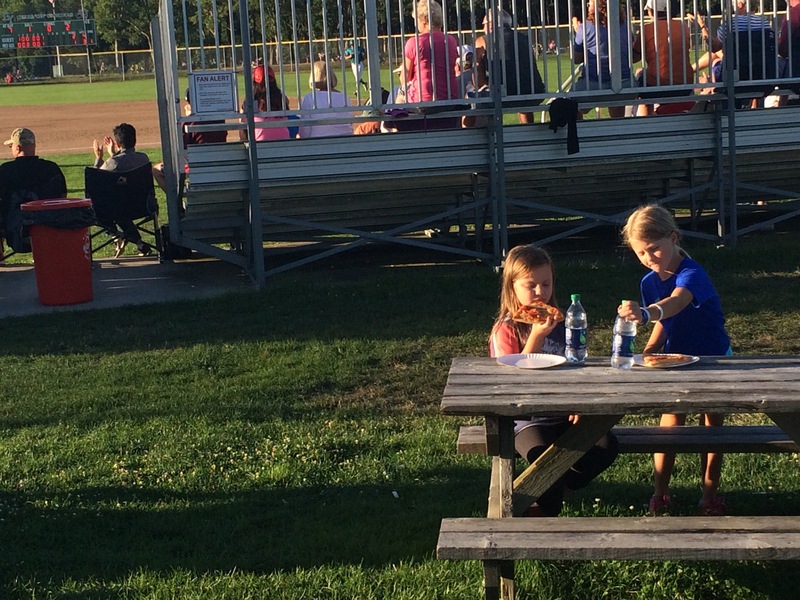 Here’s a picture of a kid sitting at a picnic table with the game going on do you think these kids can see the game and enjoy the picnic table? Yeah there’s my concerns are. The idea is having them at all is good, but the location of these tables makes them kind of useless for attempting to watch the game. YD seating is ultimately pretty good. But the lack of netting on the bleachers and useless picnic tables take some major points off. The food stand is on the first base side of the field. You buy everything from there, the staff is nice, and they’re very quick getting good to you. Most of the menu is standard, except for the donut hamburger. You did not misread that. Some bright spark in YD decided that a good choice for a hamburger bun would be a donut. Plain or jelly filled. God bless America for providing a glorious heart attack at a ballgame. It tastes very good at least. Only point off is for the food stand not being centrally located. It’s a longer walk from 3rd to get there. Otherwise, this place is pretty good. This field is absolutely gorgeous. The score board is nice and new, the trees in center is a nice touch, and there’s a lot of open space and green grass behind the fences in the stands. That allows for beautiful sun sets for in the middle of most games. Since the Red Sox start their games at 5 o’clock for much of the season, without any lights at the field, The team has to depend on some lights to get all of their games in. The fortunate thing is on a sunny day, Red Wilson field is one of the prettiest ballparks you could hope to say. No complaints about the park here. Red Wilson is a pretty ballpark. It’s a fun time going to and sitting at the park in the golden hour of the day and watching a good baseball game. The organization does a good job of picking music, entertaining the crowd, and providing a good baseball time. The only complaint is that YD’s fans can be obnoxious. I’ve seen road players be heckled badly by the fans, to the point that the host parent has to go tell the hecklers to ease up and stop being a jerk. They listened, but that is still something of a concern. They are just a vocal minority, so I can’t knock too many points off for that. Allow me to admit some bias here, the YD Red Sox are my least favorite team in the league. I can look past that and acknowledge their field’s quality. Red Wilson Field is flawed. It’s a little out of the way for visitors and some of the seating can expose you to hard foul balls. But I would be a moron if I said it was a bad baseball experience. Far from it. This is a field you should go see and enjoy. It’s a pretty ballpark with good food, great sightlines, and access to some of the best baseball you’ll ever see. Chatham, Orleans, and Brewster are better parks in my eyes, but YD is absolutely a park you should go see and enjoy. To this point in the Cape League review series, I have been remarkably positive. I’ve not found many faults in the parks I’ve visited. And today, that line will continue. I might be spoiling the review a bit, but I find Veterans Field in Chatham to be on par with Brewster and Orleans. Does it surpass them? Let’s take a look. This is Veteran’s Field, home of the Chatham Anglers. One brief word on past experience at this place. I’ve come here for many games in the past. Two things I remember clearly: Watching 8 bats break in one game in the late 2000’s with my dad. Maybe 2009? Somewhere around then. The other thing is standing behind the plate with my friend Jim who was raised on this field and told me stories of Thurmon Munson blasting a ball to beyond the hill in center. For context, the center field fence is 385 feet away. The top of the hill is even further. He’s got tons of stories like that. Anyway, on with the review! I wish I could give this a higher mark. The location is absolutely superb. Every ounce of praise I gave Orleans regarding location applies here. For starters, Veterans Field is right on Rt 28 and Depot Street, the biggest street in the town and another fairly big street. There’s no way you can miss it. It’s well signed, but it’s so obvious as you drive in that there isn’t any signage needed. To make it even better, it’s just a short walk from downtown Chatham. The business district of Chatham is where the rich and fancy go to hang out. So one word of warning, don’t be shocked if you burn a hole in your wallet, it is THAT expensive. That’s about the only issue there. There’s plenty to do, buy, see and enjoy. My favorite movie theatre I’ve ever attended is in town, there’s an excellent stage there, and all of it is a stone’s throw away from the ballpark. You can park at the field in the afternoon, enjoy the town, and catch the ballgame at 7pm. 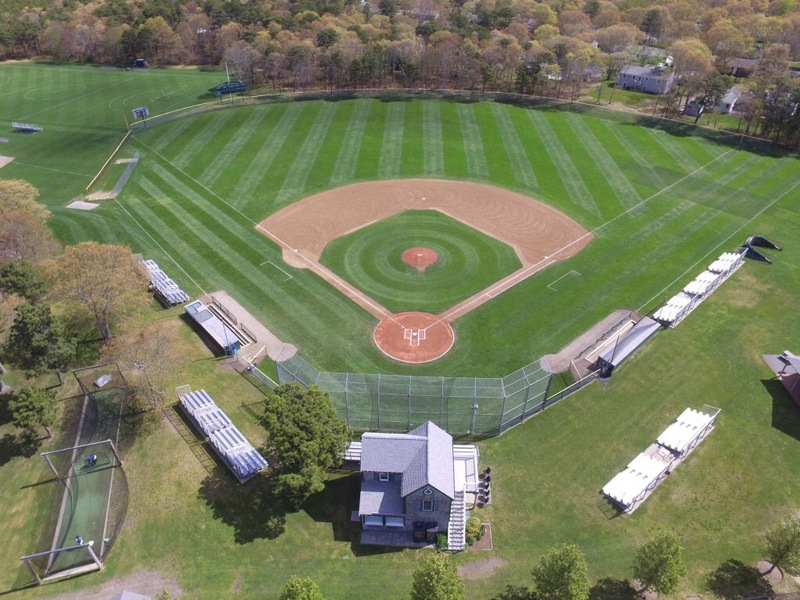 No other field in the league can provide you with such direct access to a complete town experience the way Chatham can. The only thing that can kind of be complained about is the parking. There’s one small lot right in front of the field that fills up painfully quickly and another one at the adjoining Chatham Community Center that’s only a touch bigger. For the crowds that Chatham can draw, that is a decent complaint. But it only holds up if there’s no where else to park. And there are other spots. The lot near the elementary school and fire station on Depot street is a good place. There’s plenty of side street parking in that direction too, and some of the local businesses that close before game time let people park there for the game. The only complaint that can be lobbed against Chatham can be easily diffused by either showing up early or parking above the field. The location is nothing short of perfection. Veterans Field has the best variety and some of the best general seating in the league. Like Orleans, there is a hill for seating. Chatham’s is in right and center field. It’s steeper than Eldredge, but I actually think the views are better than in Orleans. In general. There’s no net and you’re not over the dugout, which can obstruct the view on the first baseline if you’re close to home plate. The hill is also not the only seating section. There are extensive and distinctive bleachers behind home plate that provide an excellent view and a beautiful backdrop for the outfield crowd. There’s also picnic tables on the right field foul line near the visiting bullpen. They provide a good place to sit and see the game while eating some food. Chatham has the best mix of good views and variety of seat type in the league. You can get any kind of experience you want here. The Only downside is the fact that some individual places are badly obstructed. Outfield seats behind the light towers, the edge of bleacher seats behind the dugout, and picnic tables hidden behind other picnic tables. There’s not enough for me to be mad about it, but it’s still kinda annoying. Everything else is pretty much perfect. The consessions stand is right down the first baseline and is a short walk from everything. It’s perfectly located. The food is also good. No exceptional menu options other than the chili dogs, which I’m not a big fan of myself (I don’t like chili dogs in general) but it all tastes good and they get it to you quickly and with a smile. Their popcorn comes in souvenir cups that you can keep and the costs of everything are fairly low. And they have one touch that I absolutely love: they play Angler’s home radio broadcast at the concessions stand. You can get food and still keep tabs with what’s going on even when you can’t see it. Plus they do $1 hot dogs in the ninth inning. Chatham gets this part absolutely perfect. This is among the prettiest ballparks I’ve ever seen. The stands behind it are distinctive and serve as an excellent backdrop to the action. The hill is distinctive and green, the trees in left are a nice touch and the scoreboard fills out the rest of the picture well. Playing under the lights is also a lovely touch. It gets even cooler when playing in the fog, as long as it’s not a blinding fog. Basically, nothing to complain about here. What a great place to see a ballgame. It’s an old park that has aged perfectly. You can walk in, sit, and enjoy the game easily and watch some of the best baseball in the country with absolute ease. 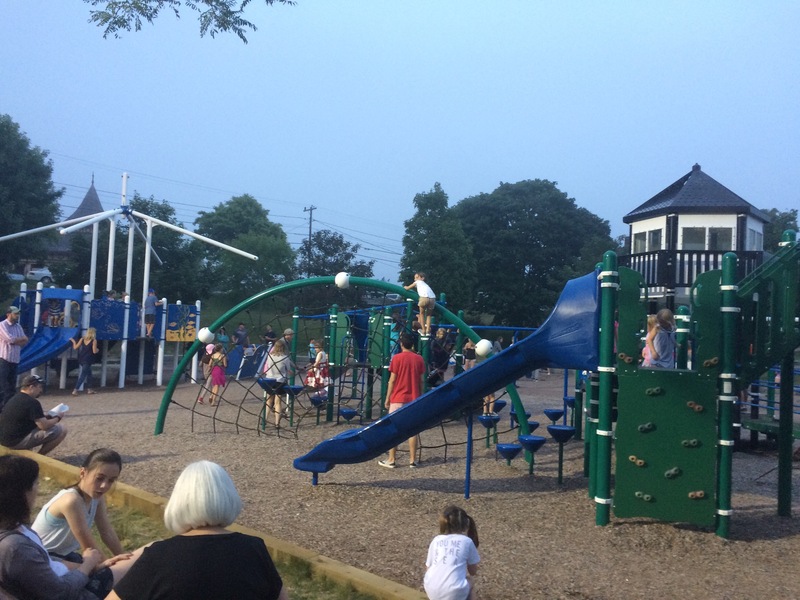 There’s also a spectacular playground that has seen some recent renovation. It can keep the kids happy and active for hour and hours on end. I mean if I were a kid and I could play in this or watc the game, I may well choose this play ground. There’s also a Gaga pit and a Little League sized ballpark right next to the field with kids playing a game there. So all bases are covered for the kids to either play at the park, the sandlot, or watch the game with family. It’s pretty sweet. The only issue I can find is the occasional snobbishness of the Chatham fans. And mind you, I’m talking about locals, not the visitors or parents of the players. Chatham can be a snooty old money New England town and can be unwelcoming. I’ve seen it and my friends have too. But don’t let that point turn you away, it happens one out of every hundred trips. And the experience isn’t soured by the one obnoxious fan I can encounter infrequently. This is still one of the best experiences in baseball. I’m not exaggerating when I call this one of the best sports experiences I’ve had as a fan. This park gets everything right and in my opinion, not only serves as the best park in the Cape League, but is a beautiful slice of Americana that must be experienced. This is the definitive Cape League experience. You can go at any stage of your life and enjoy the park, the playground, the game, and the company you keep at the ballpark. Its the most versatile park with the most complete experience. I have only tepid complaints at best. 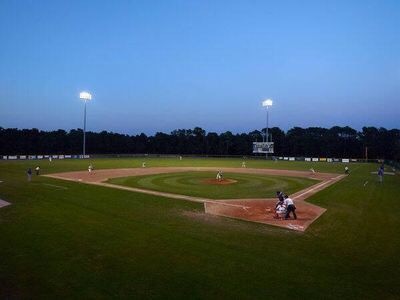 Veterans Field is not only a must for any baseball fan, it is a must for anyone visiting Cape Cod.